In recent years the trusting relationship between dentists and their staff has come under scrutiny. Questions such as ‘how much control should my staff have?’ or ‘can my staff have access to my prescription pad?’ are questions posed in a dental office on a day-to-day basis, or so we hope. With 58% of dentists falling victim to prescription fraud, an issue that seems to be hitting dentists is Identity Theft. Not identity theft in the usual sense, but specifically the misuse of a dentist’s DEA number, forged signatures and stolen prescription pads. The culprit? The Insider Threat comprised of office staff and fellow dentists. As the opioid epidemic kicks into full gear, dental offices are seeing the highest rate of fraud yet with forged prescriptions, specifically for controlled substances, and unfortunately staff members with access to the dentists’ prescription pads are at fault. However, as you will read in Case 3 which will be posted on Thursday August 25th, dentists also need to safeguard their prescription pads from other dentists! This is not to say that office staff and peers cannot be trusted or that they’re the sole cause of prescription fraud, not at all. However, how much trust is TOO much without proper protocols in place to ensure checks and balances for every prescription being written? In 2016 alone, there have been numerous cases where an employee of a dental office has been behind the forged prescriptions and stolen prescription pads, which has ultimately led to dentists hanging the good old closed sign on the front door of the office. This is the type of financial implications such a crime can impose. Over the next week, we will be discussing specific cases in which a staff member has taken advantage of their employment to receive or distribute unauthorized prescriptions, as well as useful tools to help combat your potential Insider Threat. Stay tuned! 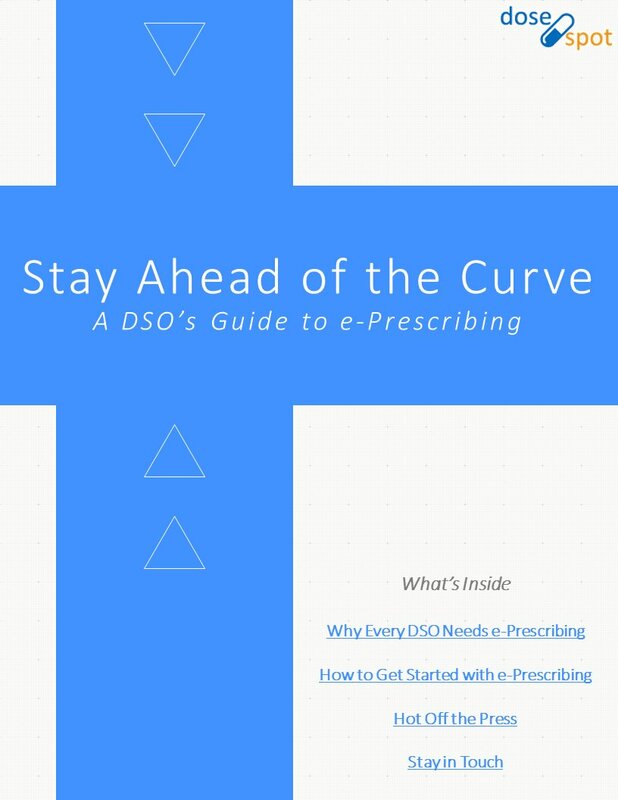 DoseSpot is a Surescripts and DEA EPCS certified e-Prescribing platform specifically designed to integrate with electronic dental records and practice management systems. Our integrations save DSOs time, money and development hassle.